Geoff and I also both detest the family letters with the omniscient narrator thing. Somebody had to write the letter, yet you all get referred to by some all seeing eye who is extolling your virtues, talking about all the awards and science fairs the kids won, and showing off photos of your perfect vacations? I don’t think so. Everybody is tired of seeing only the highlight reel of other people’s lives in a brag letter written by an “anonymous” 3rd party designed to make the recipient feel like crap. Merry Christmas, indeed. So this year, inspired by Sam Sykes, Geoff and I are addressing a serious topic. 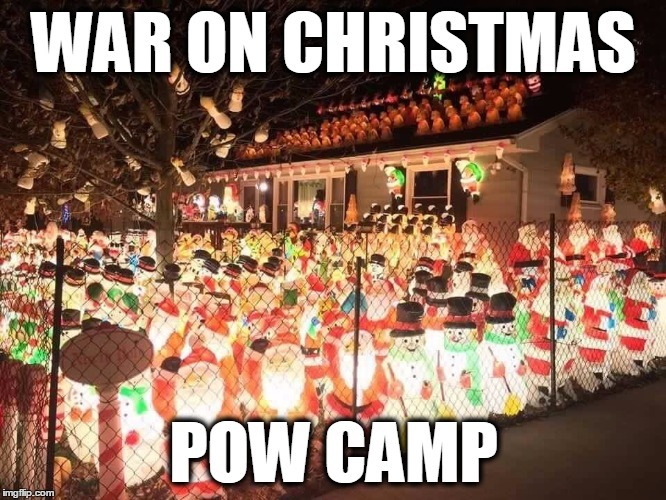 The #WarOnChristmas. You have been warned. However, Sam asked and we’ve answered. I awoke to the sound of air raid sirens. Everyone grabbed their weapons and their helmets and ran to the doors of the barracks. I sprinted outside, putting on my helmet and my web gear as I ran to one of the shelters. Once we stepped outside we began to hear the sound of sleigh bells – faint at first, but steadily growing in intensity. Soon the air was filled with the sound of bells, so loud that we had to shout to be heard. Massive searchlights were sweeping the clouds above. They began to illuminate the shapes of hundreds of sleighs pulled by thousands of reindeer. The air defense guys opened up with everything they had. 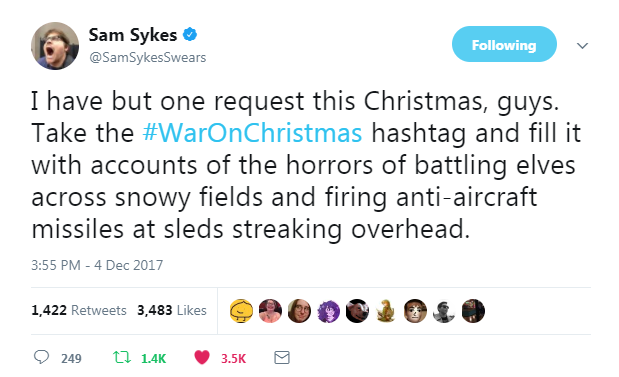 The sound of the guns rapidly drowned out all jingling and in mere seconds there were ugly black bursts popping among the sleighs and then burning sleighs falling out of the sky, their little elf crews bailing out as rapidly as possible. I cringed as I expected bombs to begin falling, but there were no bombs. A minute passed. I stood up and looked at the sky, which was now filled with tiny little parachutes. Not the red and white chutes of the elven air crews (though there were some of those), but those dreaded brown chutes festooned with brightly colored gumdrops. My God. I grabbed the machine gun and cocked it, pointing it out toward the open field of snowy ground that seemed to be the primary drop zone. As the little brown shapes began to squirm through the concertina wire, I opened fire. Short 5-7 round bursts, I told myself. Every fifth round a tracer. I saw my rounds impact on them, throwing little chunks of gingerbread and frosting high in the air. Some landed not far from us. As I fired a strange fog began to develop. It actually seemed to be coming from the bodies of the gingers. What the hell…. A rifleman in a foxhole closer to the wire suddenly began to choke. I watched him scramble in a panic for his epi-pen, but fumble and drop it on the ground. Then he moved his hands up to his throat, gave one last wheezy breath, and keeled over. I realized what insidious weapon Santa had now brought into the war. He had escalated to a new level. I began to ring the gas bell as loudly as I could. 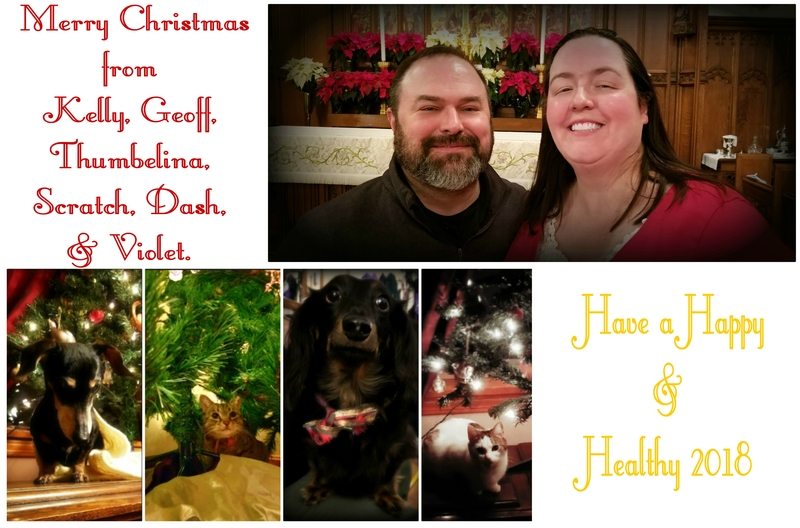 Happy, Merry, Blessed Everything. We’ll catch you next time. *This is a blog. That’s what the comment section is for. Go nuts. …nope, that’s really all I have to say.